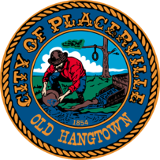 Welcome to the area of our website in which you may view Live Streaming and/or Archived Video of our City Council and Planning Commission Meetings. To view Live Streaming video you must be accessing the link at the time of the meeting (usually Tuesday at 6pm). There are no meetings on the 5th Tuesday of the month. City Council Meeting October 09, 2018 OUR APOLOGIES THAT THIS DID NOT STREAM LIVE. WE WERE HAVING TECHNICAL DIFFICULTIES.